Hear what other people are saying about us! ~ Abigail Kristian Hagen, M.S., CCC-SLP, Washington D.C.
* Your gift to Speech Pathology Group: Children's Services International (SPG: CSI) is tax deductible to the extent allowed by the law. 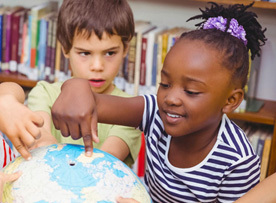 Speech Pathology Group: Children's Services International is a registered 501(c)(3) organization. Our tax ID number is 26-3473755.